North South Line: Train services between Orchard and City Hall stations will operate at a longer frequency till 7am due to track maintenance and upgrading works. North South Line: Train service between City Hall and Raffles Place stations will start at 7am due to track maintenance and upgrading works. 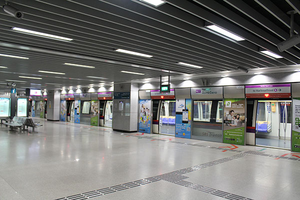 Affected commuters may board the East West Line instead. North South Line: There is no train service between Woodlands and Yishun stations due to the construction of crossover track near Canberra station. Rail Bridging Service (Shuttle 10 & Express 17) are available. Certain bus service will be extended to coincide with the last shuttle bus timing. East West Line: Train service between Tanah Merah and Bugis stations will end at 11pm due to track maintenance and upgrading works. Rail Bridging Service (Shuttle 6) are available during the early closure. Certain bus service will be extended to coincide with the last shuttle bus timing. : Bus Service 253, 255, 257, 400 and 402 will have operate at a lower frequency during off-peak hours. Affected commuters may try the on-demand bus service during these time. : Bus Service NR7 will not be in operation. Affected commuters may try the on-demand bus service from 11.30pm to 2pm. 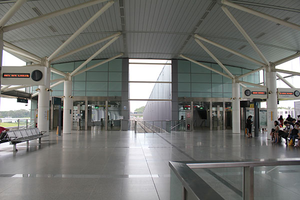 Punggol (NE17/PTC) is an underground Mass Rapid Transit (MRT) station on the North East Line and an elevated Light Rail Transit (LRT) station on the Punggol LRT, and serves as an interchange station between the two lines. Water, Landscape and Future by Goh Beng Kwan catches the natural light in the station, evoking a sense of sea, sky and languid days spent on Punggol beach in years past. ↑ "Art in Transit". SBS Transit. Retrieved 12 November 2011.